Why is getting new online clients so damn hard? The first three or four client's always seems pretty easy. It's usually friends or family, maybe a couple of referrals, and that gets us off to a great start. But then after that...crickets! That's why on this weeks podcast I'm helping Masterclass member Tamsin. She's already got a great foundation in place and she's got those first couple of clients coming from friends and family. But she wants way more than that and I don't blame her, because Tamsin wants to go full time with her online fitness business. So in this interview you're going to learn how to automate your facebook marketing to generate leads on auto-pilot and what every website owner needs to do for cheaper advertising on Facebook. Ru: I've checked your website, it's awesome by the way but we'll get into that. What I want to know is a little bit about what you're currently up to in the fitness industry. What you doing day to day at the minute. Tamsin: My main job as a geography teacher which I did do full time and now I've had little ones, a four year old and a 2 year old. I'm still I'm teaching part time but I'm not enjoying it as much as I used to. I love teaching, it's all the stuff around it, so then I thought I want to do something that involves teaching so I decided to train as a Pilates teacher which I love doing. I was thinking about growing that as a business and then having done lots of post-natal fitness I realized that there was not a lot out there particularly Pilates based core training for post natal women. That's where I thought maybe rather than trying to build on the classes I might try and go online. You did a coaching call which inspired me to go for it. Tamsin: I'm doing like three jobs, I'm doing my job teaching, I'm doing my classes, and I'm doing my mom thing and my online thing. So it's just yet trying to fit all of it in. Ru: So you were a busy bee. Tamsin: Yeah. I'm really keen to get some insight in terms of where time is best spent cause it's a precious commodity. Ru: For sure of course I want to help you with that particularly on this call here and get that sorted. I checked out your website as well before we go on a call. I think it's looking really good you've put in some of the initial solid foundations to create a nice looking asset online. And I see all of the different touch points with the free books and the different services for pregnancy and post natal. It's looking really good. I can also see you really thought about what you want to offer and hopefully we can help you with transitioning into full time online. Tamsin: Yeah, that's the dream. I've just been too scared to just go for it and I know it's silly because if I had more time I know I could make it better. But equaliy it's just stepping into the unknown and wondering if I can make the online big enough to be my income. Ru: It's certainly a big factor that holds a lot of people back from making the full leap. I get that for someone like yourself with family you can't just drop everything all of a sudden one day and go all in. It's something that's going to need a bit of a gradual increase particularly the clients and maybe the income from it. OK so you've got this initial foundation and your'e taking some good action on it. How much success have you seen with that? Have you got some online clients coming through on your programs? Tamsin: So we've only lunched the website literally two weeks ago and we've had three clients sign up. Initially traffic was quite high and then it has slowed. My colleague and I were thinking maybe some bits to do with Christmas in that people would not be spending money on a fitness program at this time of year. So maybe it's usual not to be expecting so many sales in the next two weeks and then try and really have a push in January. We are also thinking about doing some Facebook ads more for men just to say 'Are you really struggling to find things for your partner for Christmas, would you like to get them an exercise program'. The wording is a real headache, trying to work out how we can say that without referring to their gender or physical state and that sort of thing. Ru: I get it. Facebook are a little bit tricky when it comes to the wording side of things particularly in health and fitness and obviously then pictures as well with people in them looking good. It is a difficult niche to be in for us with the advertising side of things. How did you get those three clients initially? Was there anything you purposely did that worked for you? Tamsin: To be honest, one client was a contacted that my colleague Laura already had. The two others were as a result of blogs that we wrote and got shared. The one about running seems to be popular and a friend shared it, the client was a friend of that friend. Ru: So at the initial stages here which is very common it's referral still, friends of friends, someone who knows you had maybe recommended you, which is exactly how I got started with the online coaching as well. Now that you have all of these foundations in place your 2017 goal should be getting people who don't know coming towards your business. Being attracted to it and ultimately then taking up your offer as well. Now I see there a couple of different elements that you've got in place that look really good. You have lead magnets in place or in your free ebooks. You got great looking opt in pages for the pregnancy and the post natal. Something I was going to ask you was, those new clients, have they all taken a specific program or package? Do you find that the pregnancy has been more popular than the post natal, or is it too early to say? Tamsin: The three clients all bought into the post natal, which we were surprised about because I thought pregnancy would be more popular. So we're not quite sure why there's not been such a good uptake on the pregnancy. But then we're wondering if maybe because it's still friends of friends we probably have more friends with kids. Ru: Yeah I agree it's still maybe too early to tell which will be the most popular for you. I suspect one could be more popular. I think something to focus on and something I've done this year is really focus on one thing. I know your programs are very related in terms of they're all kind of falling ondar helping moms or soon to be moms. But you might find that one program is just way more popular than the other and you might then want to invest more time into making it better or invest more marketing and create more buzz around it. I've had a lot of great results focussing purely on the Masterclass this year. So that's something to think about as you go into next year. Keep an eye on what's working there. 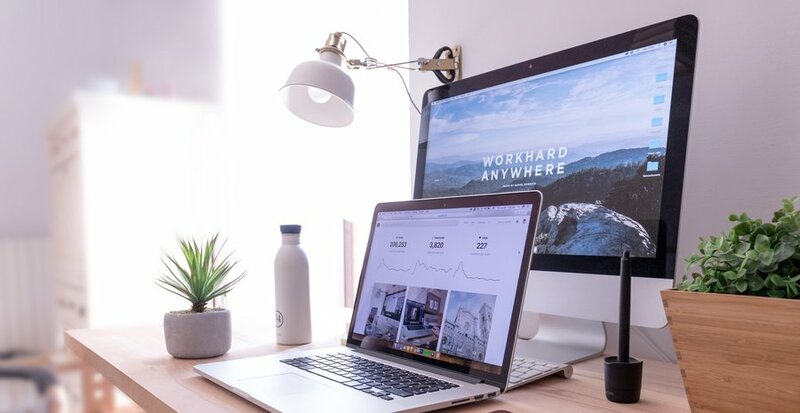 What I would also like to set up for you at this stage is a lead generation tool that's bringing people into your little world every single day and ultimately getting more clients as well from that process. I feel that you are at that stage from looking at your work. I see that you've got the e-books there, I'm guessing that's hooked up to her e-mail service provider that's collecting e-mails in exchange for the ebook. Then are you doing any sort of promotion side of things with that to get that out there? I did two Facebook ads but I think I set them up wrong because I wanted it to work as a lead generator but the FB summary was saying '20 people would remember your brand' and I wanted clicks. I then tried to do it as a sign-up form but it wouldn't let me access the sign up form so I dropped it. I ran it for five days and then I dropped it because it just wasn't working. It's definitely something I want to get back on, trying to get the e-books out there as an ad. Ru: I like that you're already experimenting there with the Facebook stuff and it's a huge recommendation as everything is ready to go and it's now moving to sales and marketing. I would encourage you to go back to the Facebook ads after the next couple of weeks. As December like you say is definitely going to be a downturn and people won't be engaging with this sort of stuff. But come January time definitely get all guns blazing with this. Start with a very low budget initially like the minimum of a fiver a day. Put that in initially and from there you can see how well it goes. But I think you want to set the ad up for is website conversions. And that does quite a lot when you tell Facebook the right objective. Because your objective is to get the email subscriber and to get people to the thank you page. What you need to do is get a little pixel from Facebook, have you installed that on your site yet? Ru: I've got all the training in the master class so I'll not go through the ins and outs of it here. I'll send you it after this call. Basically are you going to tell Facebook, here's my website I want you to track it and you can pull certain specific URL's else pages like your thank you page for your e-book. And you would say 'Hey Facebook I want you to track this and tell me when someone has reached this and I want you to base my ads on this conversion. Then Facebook can get a bit smarter, they're tracking those people they're an collecting this data. Facebook is an amazing tool it's scary almost. They're collecting this data on people who were opting in for your free thing and then it's finding more of them. It'll send you more of those people, which starts getting better and cheaper to advertise. If you can get it initially set up right you're going to see a much better return. So that's what I suggest you do for lead generation. Once you can get that set up you're going to be bringing people into your world via their email every single day. Something to consider as well on there when you're setting up the Facebook ads is the targeting side of things. For me this is really important and something that takes a little bit of testing. 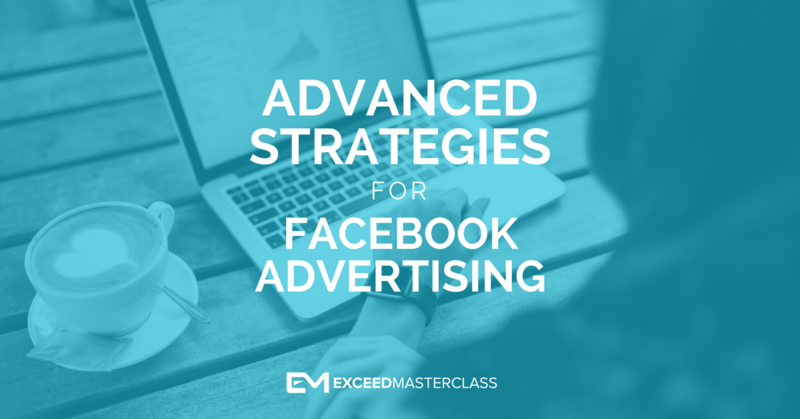 When getting started with Facebook ads you want to keep it very to the point in terms of who you target initially. You could find for example one or two key personalities in your niche who are very well known and maybe have big pages around you niche. Maybe one or two type magazines that would have a big following on Facebook as in a page. And maybe one or two brands that exist for our niche as well. So you may find that you've got five or six pages or interests that are worth targeting for as well and getting your ads in front of. And then what you want to do is make sure that you only set up one ad at a time to target that specific person or magazine or interest group and not just bung them all into the one ad. You don't need to throw big ad spends, do the minimum budget that you can, test out those five or six different pages or interests that suit your niche and see which ones bring you the best return i.e. the cheapest conversions. Some will be really bad and some will be going off like wildfire so then you'd maybe increase the budget a little bit to in bring more traffic. You're kind of stealing someone's traffic. They've done the work and grown the pages for you but this is why it's worth paying to play as opposed to trying to grow those pages yourself. We have to pay fees for it but we can get the traffic over to us as well. From there you've now got these e-mail subscribers, they are maybe mums or soon to be moms so you need to build that relationship a bit further and then say 'Hey if you've enjoyed this here's our program. Tell me a little bit about your two programs and how they work. Tamsin: I've done some pilates routines for the pregnancy program. My colleague who's a person trainer has done some fitness routines. Laura is also trained in nutrition and we also follow all your amazing stuff. So there's six different workouts and nutrition programs fr the different stages of pregnancy. So as the woman's body changes the exercises and program changes. Then the post-natal program there's six different phases roughly two weeks a phase. You've got a pilates routine for that phase, a strength training routine phase and nutrition advice for that phase. It's roughly a 12 week plan but we're quite keen to stress that with postnatal women you don't push things. Ru: Cool. So I saw them on your website. They sound really good. I saw as well that they are for a one off price of around 50 pounds. Is that at the minute all that you offer? Ru: Okay. So my initial thoughts when I looked at your offerings is that it's your core offer, which if I'm honest seems way too cheap. That's your core offer, your main thing that you've put a lot of time and effort into creating and offering to people for a one off price of 50 pounds. That's nothing. If you have an income in you mind of what it would take to quit your job as a teacher and then you think of how many plans you I need to sell every single month to support that. It's probably quite a lot. Now I'm not saying that's not doable but there's a couple of things at play. One there's going to be quite a bit of stress that you have to sell X amount of programs every month to meet that income consistently every single month. And that's a lot of people a lot of customer service. So what you might be better doing here is making these programs more expensive. I underpriced my own services to begin with and it's good to get that initial traction. But it's also just a one off product. So what you would really be better harnessing is some form of recurring payment model as well. What do you think about that, is that something you've discussed or looked into? Tamsin: Yeah. I think it's just because the groups that we're targeting are so transitory that it would just be difficult to have. For example by the time a woman knows she's pregnant and maybe thinks about it then she's probably three months along. That gives us like six months which we just not the longest amount of time and also because of our situation. Laura's got a 10 week old baby and her personal training job as well. I'm not sure if we can create enough content every month to give people value for money. Ru: I think it would be, purely from a business model perspective and securing your business with some recurring income from people. I really like the way you've set up the programs. You've got that short time frame with people in the pregnancy program but are they not going to be perfect for the post natal program pretty after. So there they can continue on and that should be your goal to also transition them on. And you know instantly add coaching into that to simply turn this into a recurring model where you would charge someone every single month. So it doesn't need to be content, where people are seeing value and what they will pay for is this personal help. Some support, some accountability and some personal interaction with you or your partner. You could have two different options. You could have just the one off you and you could also integrate this recurring model as well. And trust me it doesn't take that much time particularly online. You don't have to go any where you have to drive anywhere or meet up with anyone. You can literally give them email access and an hour a night jump onto your emails answer some questions. To me that is worth doing and that's going to change your business as opposed to trying to sell X amount of programs every single month. And the more clients you can have the better the business is going to be. I think you want to integrate the recurring coaching model into your packages. And like I say dont make it all about the content. Give up a little bit of your time initially and see how that goes for you. And secondly I think you want to really start grabbing some attention and driving traffic to those nice ebooks and pages that you've created and start growing the initial list. With that email list then promoting your services and running some campaigns. Tamsin: I think thats amazing, that's that's been really helpful. Ru: Does that give you the clarity you were seeking? Tamsin: Yeah. I think it's really helpful to have advice from someone who's been through it and has a good idea of what we should be doing. Thank you. Ru: Yeah that's cool. Of course make sure that you keep reaching out to me in the masterclass. I am more than happy to help you in there so just post up what you're working on. Just message me and I'll send you the information or I would personally jump in and give you my answer. Tamsin: All right thank you very much.